Nordea Scandinavia Office is The Best Office in Poland! 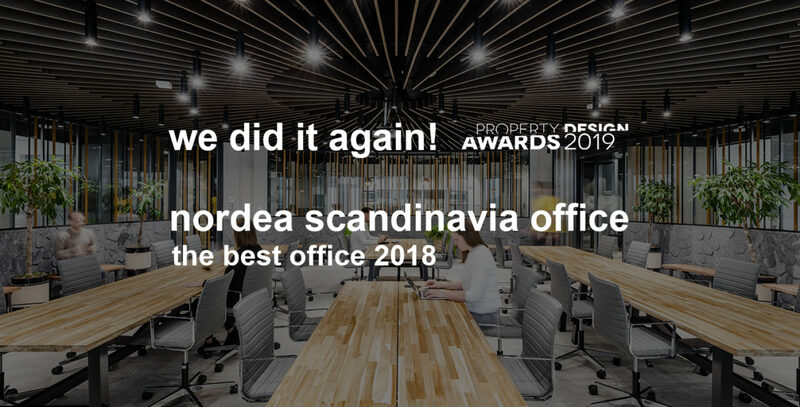 Our project Nordea Scandinavia Office in Gdynia’s Łużycka Office Park was awarded in the Property Design Awards 2019 competition, receiving the title of the Best Office 2018 in Poland! This is another win of our project in this competition! Property Design Awards 2019 is the 4th edition of the competition for the best commercial and public projects in Poland completed in 2018. 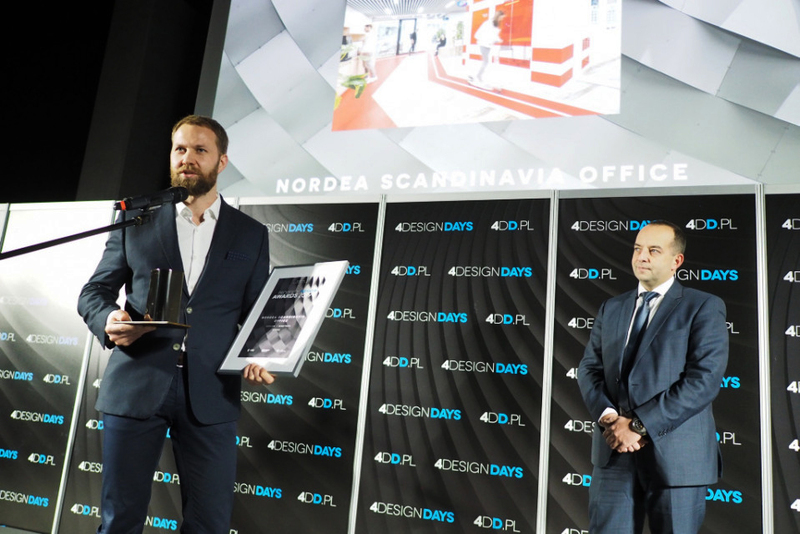 Designed by our team – the last part of Nordea’s HQ in the Łużycka Office Park complex in Gdynia received an award for the best project of commercial workspace! This is the second prize for our project in this prestigious competition after the MediaCom project awarded in 2016. “We are proud of the award, but above all of the excellent solutions that serve our employees. I believe that good office design is above all functionality, which works well in everyday work, but also pleases the eye aesthetically. The awarded office space is a direct reference to Nordea’s Scandinavian roots. We have managed to create an office in line with the expectations of IT employees – to support the nature of their work and, thanks to its appeal, attract new candidates” – says Mikołaj Ługowski, Director of Nordea Bank Abp Branch in Poland. “Thanks to the open-minded approach of Nordea’s management in many ideas, we tested new, more efficient models of space dedicated to agile teams. We developed individual work areas, the so-called “home zones”, which are subdued and functional. They are far from the typical open spaces and they allow employees to focus. On the other hand, in common areas, design and narrative accents attract attention and stimulate the senses” – says Bogusz Parzyszek, founder and CEO of our company. The main theme of the office is the architecture of four Scandinavian capitals. The Copenhagen area is inspired by the Superkilen Park and the network of cycling routes for which the Danish city is famous. In “Stockholm” there are classic wooden Swedish cottages in the traditional Falun Red colour. “Helsinki” are inspired by the modern Temppeliaukio church. In the Oslo space you can see a reference to the award-winning building of the local Opera House. “The awarded project is undoubtedly the most advanced project we have had the opportunity to carry out so far. We are glad that with our participation we have created a space that sets office trends not only in Poland, but also abroad. 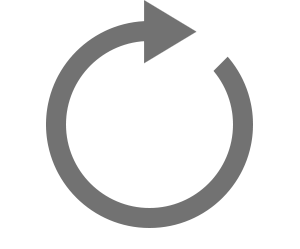 Such projects will surely become more and more important, because in the challenging labor market, from the point of view of recruitment, creatively arranged office which supports effective work, becomes one of the main advantages in the process of attracting and supporting the employees. This is especially important in the IT industry” – adds Halina Gniadecka from Allcon Investment, the owner of Łużycka Office Park complex.